Are you sick of the wait for the Apple iPad 2 tablet or just looking for an Android tablet? I just came across this Android tablet sporting Froyo 2.2 in Amazon.com. 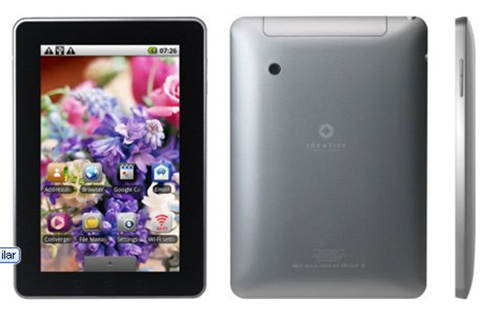 Enspert Identity Tab E201U Android 2.2 Froyo Tablet 7" Multi Touch Capacitive Screen. Certified Google Marketplace for $349.00. If you have been looking for an Android Tablet , this looks like it’s worth a look. Seems like a great tablet as an alternative for iPad. However, i’m wondering if you happen to know a tablet that runs with Android 4.0. Thank you and i look forward to your response.